How many times a day are you encountering someone who doesn’t comprehend your message or intent, seemingly because they aren’t paying an appropriate amount of attention? How often do you turn off to people because they just want to get your attention to sell you something? For many of us our attentiveness has become more important than just our time. It may be our most valuable commodity. Commonly we offer it only in small increments at least until we find a reciprocal reason for sharing a bit more of it. We stress when we’ve wasted it. Is that true for you too? What’s happening to us? Are we losing our ability to pay attention? What we’re experiencing is part of a mega trend—a growing attention-deficit epidemic. In our effort to adapt to the “Great Flood” of demand for our attention, we are scanning, assuming, and reducing our attention span to a blink of an eye. Speed equals efficiency. Or does it? Many of us are overwhelmed. Most of us just continue to plow through, while we seek various outlets for temporary relief. While depth psychologists, analysts and sociologists are seeing the symptoms of an underlying individual and social crisis, unfortunately, the cause, the big picture, the raging onslaught of communications on our unconscious state of mind, is either overlooked, indulged or helplessly ignored. Undeniably, our modern lifestyles are infused with continuous attention-demands. In a rapidly changing world this phenomenon is having an increasingly powerful impact on our personal exchanges and relational acuity. Our unrelentingly busy, information-cluttered, attention-deficit modern culture is taking its toll on “functional” individuals. Some seem to thrive on it. They enjoy the pursuit of goals and achieving success. Nothing wrong with that, except, when it masks a reduced capacity to focus in the present moment, there’s usually a price to pay down the road! Let’s face it. We’re all getting a wake up call, but a relatively few of us are answering it! Some people, either those suffering from obvious nervous system conditions or the few who wish to prevent them, have discovered mindfulness. Mindfulness is an ancient Buddhist practice for raising consciousness. Ironically, just as our information and regulation culture has increased in scope, velocity and volume, mindfulness has become a popular mainstream goal for coping. Why? There is so much to keep up with, and so much effort needed to reach out, that most of us are stretched thin. Admit it or not, nearly all of us are having trouble focusing. You might say, our heads are on fire. The term has its roots in Buddhist meditation used to calm and quiet the mind so that it would be fully alert and observant of the streams of thoughts that funnel through a person’s mind. In the state of mindful meditation you can observe the content and impact that your compulsions, daydreams, plans, memories, and other forms of verbal and visual thinking, have on your psyche. An adaptation of the practice of mindfulness entered the mainstream in recent years, in part through the work of Jon Kabat-Zinn and his Mindfulness-Based Stress Reduction (MBSR) program, launched at the University of Massachusetts Medical School in 1979. Since that time, as thousands of studies have documented the physical and mental health benefits of mindfulness, the term has inspired thousands of similar programs primarily designed to deal with lowering stress. There has been a marked increase in the mental and emotional levels of distress in mainstream American culture. The secular adaptation of mindfulness has become a fairly common objective within institutions — schools, hospitals, recovery programs, corporations— as well as a stated goal of many psychology professionals, just as the culture is experiencing a pervasive increase in attention deficiency. Attention deficit hyperactivity disorder (ADHD) is a mental disorder that most often occurs in children. Symptoms of ADHD include trouble concentrating, paying attention, staying organized, and remembering details. It includes autism, OCD (obsessive-compulsive disorder) and other forms of neuro-chemical disabilities. Currently 6.4 million ages 4-17 have been diagnosed with ADHD, that’s 6.1% of all American children— an increase of 48% over the past 8 years. 70% of children with ADHD continue to experience persistent ADHD-related symptoms into adulthood. Among U.S. adults there’s been a wide-ranging increase in emotional and mind-related disabilities from depression (14.8 million), social anxiety (15 million), phobias (19 million) and panic (6 million) to eating and sleeping disorders, addictions and breakdowns in memory and concentration. Anxiety disorders affect 40 million U.S. adults age 18 and older, or 18% of the population (Source: National Institute of Mental Health). That said, the attention deficit phenomenon is occurring on a global scale, wherever people feel a threat to their way of life, religion and culture. Control or lack of it is at the heart of the problem, whether it manifests in conflict, violence, trust issues, or attention deficit. All to often the larger scope of the problem is reduced to a clinical diagnosis. As a result, prescription medications are readily dispensed by the medical-pharma industry for brain chemical imbalances. Pills are readily available for a generalized malaise, stress or memory deficiencies, often due to a workplace, cultural, familial or identity crisis. Most of the “medicine” serves as a cover-up. Rarely, patients receiving treatment are aware of what they are doing to themselves to cause their problems. The Buddhist view of Mindfulness is that it is the ability to see things as they really are from the perspective of a healthy and clear mind. It’s also called discernment and wisdom. It does not mean looking at the bright side or the downside, as a positive view can be negligent of what is going on and a negative view can be self-indulging, self-pitying or a result of a sense of helplessness. Mindfulness aims at seeing reality as it is, and once you observe yourself in that regard, your consciousness naturally rises above it. No judgment needed. Are we, as a culture, seeing what is really going on? Are we discerning what’s going on? Are we wise enough to deal with the challenge of living in an attention-demanding world? An unintended consequence of our quickly advancing technological society is that we are simultaneously creating a socio-emotional jungle. We are seeing more of our vulnerabilities and limitations, personally and collectively, as never before. The more connected we become, the more, it seems, that we fear for our survival and/or our future, our job or business, our health, our loved ones, our community, money, reputation…it’s a growing list. Our media—news and entertainment—perpetuates the obsessive-compulsive ways of life. Are we losing the ability to comprehend what we are reading, seeing or hearing? With all that’s going on in our life, so many of us fear that life is passing us by; when, in fact, maybe, we are rushing right past it. The expression “stop and smell the coffee” no longer applies in a world where coffee is an obsessive or ritualized habit. But the sentiment behind that phrase rings true. Can we get off the treadmill without undermining our way of life? Regrettably, the answer is, probably not. You can do some things that may be helpful, but even if you do, will they be effective? Will they be enough to give you clarity? Yes, we should all take a collective breath. Pause. Oxygen for the body and mind does so much good. Take a vacation from your routine. Or try mindfulness practices, such as the regulation of breath. But, if you listen to the originators of that practice, Buddhists will tell you that whatever you do to clear your head, mindfulness is not an end in itself. It was designed to be a gateway to liberation, not liberation itself. Its premise has been that, first, you become aware of the noise in your head and the anxiety in your heart. Next, you need to change. You heard that right! You need to transform from a life on autopilot to one of conscious, enlightened engagement. Changing your outlook is not enough. You really need to change—inside and out. That’s what the Buddhists mean by liberation! Siddhartha Gautama, the historical Buddha, lived 2,500 years ago, but undoubtedly should be recognized as the worlds’ first psychologist. He espoused the idea that changing meant liberating your mind from automated behavior. In other words, he regarded mindfulness as a step in a process that builds toward enlightenment. He faced up to the fact that it’s really hard for people to change. How do you change that which you depend on? To change ourselves, he taught, we would need to reverse our fears. Therefore, we need to do more than become aware of what we’re doing wrong and correct it. We need to call forth courage, confidence, and joy. We need to use those qualities to discover within us the sense that our personal life is part of a much larger story. He offered a concept called the Seven Skills for Achieving Consciousness of Enlightenment. (1) Mindfulness is the first of those skills. The other six? (2) Quiescence (quiet or rest your mind), (3) Concentration (focus your mind, listen, absorb, learn), (4) Equilibrium (balance your mind, keep from being swayed), (5) Tune up your life-force energy (become resonant, synchronize, be energetic, in tune with what is really going on), (6) Joyful receptivity (be gracious, welcoming, appreciative, and kind-hearted), and (7) Investigate and explore (Universal Truth) that which makes life meaningful and inspires your potential—the essence, nature and scope of Existence. “The practice of mindfulness, the first in a series of Seven Skills, would help them become aware of their self-referential imprints while the other skills would be used to breakthrough into higher consciousness. “ –– Quote from “The Buddha from Babylon"
When we capitulate to living in a world of chaos, we disconnect from our potential to evolve into enlightened beings. We need to change the world by changing the world we are creating and setting into motion. The Buddha declared, to enlighten the world, we need to become enlightening beings. Nothing less will do. Nothing other than that will actually work. Bottom Line: Enlightenment refers to liberation from illusion. To become conscious of it requires courage — to face what is really going on and to pursue change no matter how much time you have left! It is an option that is open to all…make a vow to embark on your journey of awareness. It starts to happen naturally when you give your self-transformation your undivided attention. Evolutionary Shift Theory: Why Do We Need to Consciously Direct the Next Leg of Human Evolution? Phase 1 - Evolution of the species. These two natures can be better understood if observing them from the Buddhist standpoint, a method called the Middle Path, used for understanding what’s really going on....The harmony of control and freedom is a formula for sustainable (enlightened) development. Do you believe that your soul collects information and submits a report when you get to an afterlife destination? While we can all agree that any discussion about what awaits us beyond death is a matter of belief, Buddhism paints a very different scenario. The Buddha saw the scope of life as a never ending, renewable journey through numerous mortal lifetimes. He regarded heaven and hell as descriptive of two kinds of conditional states one can experience in the here and now...whether one is mired in delight or pain, one's state of being shapes our reality...encompassing our mind, body, relationships and surroundings. A question on Quora asks: Does evolution have a direction? Readers tackle it, substantially based on scientific assumptions about evolution. This question is one of the great unknowns. It encompasses metaphysics, philosophy, and religion. Remarkably, more than 2,000 years before Darwin, this question was explored by the Buddha in his treatises on the scope of Existence. The Moon was the astral father. The Sun and Stars were his progeny. In ancient Sumer (3rd Millenium BCE), the Moon God, Nannar (Akk. Sin), appeared first from the union of the Lord of the Sky (Enlil) and the Lady of the Air and Wind (Goddess Ninlil). He provided the first light in the dark Universe when the world emerged. Then, the Moon God and the Great Lady Goddess of the Delta (Ningal) begot a son, the Sun God, Utu (Akk. Shamash), and a daughter, the Goddess Innana, derived from the Sumerian Nin-Anna “Queen of the Stars” (Akk. Ishtar). in the Hebrew Bible, Sin, the bull-Moon God of Akkad is portrayed as a seductive influence with the worship of the golden calf under the specter of Sinai Mountain. Human beings are a bewildered species. Lacking the ability to see the bigger picture of life, we define our self in small ways. The number of small ways that we human beings are able to suffer is infinite. The pain of suffering can be physical, emotional, psychological, and spiritual. Suffering can leave us damaged. Compassion is an ocean of love that is hidden in higher consciousness. Human beings are happier when they do good. People with compassion have a larger view of existence. They never run out of ways to love life in all its glory. To be truly compassionate is to be free of bewilderment. Siddhartha Gautama, known as the historical Buddha, lived some 2,500 years ago. No one is exactly sure about his Teachings, known as the Buddha-Dharma, as we have not found written documents from his lifetime. But, there is general agreement among most Buddhists as to certain doctrines associated with him. The rest of what is believed about him is extracted from sutras, legends and mythology recorded after his passing, but these documents do hold a treasure of clues. Have you heard about the threatened Buddhist archeological site in Afghanistan? China has made a deal with that country's government to mine the area for copper. 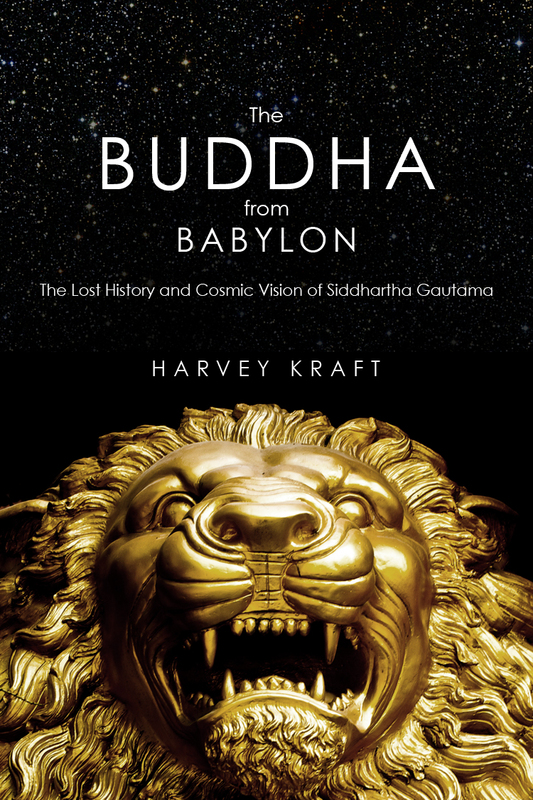 Who Was the Buddha from Babylon? In my first blog posting, I'd like to introduce you to the Buddha. This is a very different Buddha from the one most people know as a statue or through his quotes.